Poison Ivy DC Super Hero Mini Toddler Doll 3"
Your Funko-collecting friends will be green with envy when they see you’ve added these new exclusives to your collection…. This Rock Candy features Poison Ivy, an eco-terrorist who has very little interest in money or power but is instead obsessed with preserving planet life. Batman & Robin Jungle Venom Poison Ivy Kenner DC NEW! Poison Ivy Bishoujo. I have just too many toys and I hate parting with them. But, I'm at the point where I need to thin the herd a bit and open up room to maneuver. The box is in great shape and exactly as I bought it. DC COLLECTIBLES BATMAN: THE ANIMATED SERIES GCPD POISON IVY FIGURE COMPLETE. Condition is New. Shipped with USPS Priority Mail Small Flat Rate Box. Unused. The figure and accessories will be removed from the plastic tray, carefully packed in bubble wrap, and shipped within a sturdy box. Please ask any questions prior to purchasing. All proceeds from my eBay sales help me to pay for school. Thank you for your support. SHE IS MOTHER NATURE She is nature's arm. Her spirit. And it's not nice to fool with Mother Nature! (Note: She's a lover, not a fighter. A ThinkGeek exclusive. ). 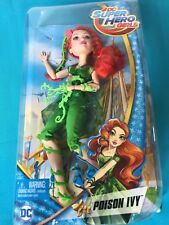 EAGLEMOSS DC SUPERHERO BEST OF Figure Collector Magazine #10 POISON IVY NEW! EAGLEMOSS PUBLICATIONS LTD. DC SUPERHERO BEST OF FIG COLLECTOR MAGAZINE. We are top rated for a reason! We can make your collection GREAT! Are you a collector?. We are grateful for your interest in Batcave Treasures! 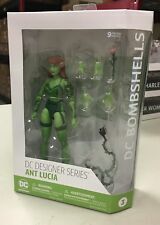 New from Cryptozoic is this exclusive Autumn variant DC Comics Bombshells Poison Ivy figure. Scale: 1/10 Material: PVC Height: Approx 190mm. Original: DC Universe Set contents: Main Body Ivy Parts Display Base Please note that the art and photos may vary to some degree from the actual products. Paintwork is done partially by hand and therefore each product may differ slightly. The New Batman Adventures Poison Ivy Action Figure DC Direct Toys HTF ! Up For Sale The New Batman Adventures Poison Ivy Action Figure DC Direct Toys HTF ! (Look at pictures) Sold as is! Ready to ship! Great to add to your collection!! Payment must be made within 3 days of ending listing ! Serious buyers only !!! please contact for any questions you may have,PayPal only! 5 out of 5 stars - The New Batman Adventures Poison Ivy Action Figure DC Direct Toys HTF ! 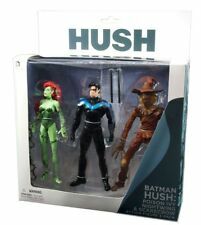 3 product ratings3 product ratings - The New Batman Adventures Poison Ivy Action Figure DC Direct Toys HTF ! DC Collectibles highly sought after Batman Animated 6 inch scale action figure collection #19 BANE from The New Batman Adventures figure is brand new in unopened packaging. Package may have normal shelf wear. Review photos for actual condition. Additional Batman figures listed separately. Combined shipping available.